How to Use Man-Hour Marketing Math to Ensure Online Marketing Success! I recently delivered a Digital Marketing Power Tips presentation and one of my first slides introduced “Man-Hour Math” explaining that you need a good grip on the “time to complete” before you jump into your digital marketing projects. As we got to the Q&A portion of the presentation a good deal of the discussion came back to man-hour marketing math. And it got me thinking… perhaps this is a topic we can all spend a bit more time on. 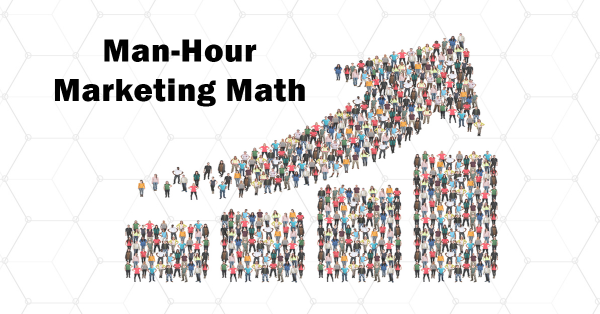 In this post, we are going to provide some real business benefit around why man-hour marketing math is critical to you as a marketer and how to create a man-hour marketing math approach. The basic idea around man-hour marketing math involves an understanding of what is required to deliver a successful digital marketing activity including a true view on how many man-hours are going to be required, and then using this information to help prioritize and also to more effectively put a value against what your digital marketing activities bring back to your organization. In fact, what we literally want to do is assign man-hours to your digital marketing project, and as a consequence start to back-burner certain projects based on understanding what will be required to deliver on them as there will not be any remaining man-hours left to work on them. And of course to also use man-hour marketing math as an internal communication factor to help protect your team and also to allow your organization to have a deeper view into the digital marketing team so that they can better prioritize related activities. Let’s start by acknowledging that digital marketing can be very complex, it can be challenging and at times as a digital marketer, you can get some real curve balls thrown at you. Given all the potential for uncertainty it really easy to get upside down – in fact sometimes you might even be starting from the wrong place and not even realize it until you are really far into your project. So… it probably makes sense to have an idea of what you are getting into before you get into it. So how do we do that and perhaps even more so why is it important to have a good understanding of this? Let’s also be clear…unfortunately most of us are not in any way properly undertanding what really goes into getting a digital marketing project off the ground and into market. Introduce greater efficiency across your organization. You are on a great path towards optimization – once you start to introduce measurement, you can then improve! 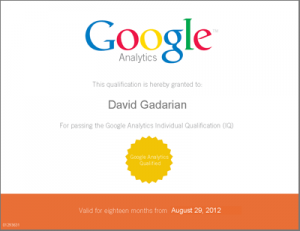 Providing quantifiable data to help prove to value of marketing! More effective resource planning and resource allocation – if you have a few projects running simultaneously and they all require the analytics person to provide 40 hours per project.. and the analytics person also has ongoing deliverables suddenly you can see really quickly that have just set yourself up for major delays as it is impossible to do the impossible. Organizational confidence building – nothing erodes trust quite like not delivering on time and on budget! The flipside is now that you are armed with man-hour marketing math heading into your projects your organization will be thrilled. And once you start to prove the value (ROI) suddenly you can move the entire dialogue around marketing away from costs and into profits! The first piece of the puzzle starts with time tracking. There are lots great tools out there (some free, some freemium and others that cost money from the start) that can help you here. If you are not sure where to begin I’d suggest starting with a pen and paper to track your time. After a few days, you’ll be tired of transposing all that time into Excel, and then trying to create all kinds of Excel pivot tables to extract meaning, and suddenly you’ll find yourself ready to embrace technology to manage this. More importantly, by starting with a pen and paper you’ll be starting from the beginning which will automatically force you to have a better idea of what is important to you in terms of how and what you want to track. I’ve used Toggl in the past with good outcomes – very intuitive, easy to set up and flexible but you might like another tool which is fine. Don’t get too focused on the tool, but rather more focused on the practice of time tracking. Once you know that piece of the puzzle you have a really good baseline for your next ride at the rodeo, and you can also get a sense of how the members of your team perform. Years ago I had my own digital marketing practice (I ran it on this very website) and at one point my wife was looking at the amount of work I was putting into projects against my billable fees and she questioned if I was working too hard and making too little (at the time she was a project manager for a pretty high flying mobile app company). I responded defensively and said of course not, but my wife is much smarter than me so she asked me how I knew? I stuttered and stammered and made all kinds of ridiculous claims. Instead, she challenged me to prove it by tracking my time. Time tracking changed all that immediately. Good thing I listened to her because that interaction had a profound impact on my professional career moving forward. If you are looking for a takeaway from this story it is that you should start tracking your time right now! By tracking time you introduce a quantitative aspect to your build activities. And if there is a metric it is now something that can be measured. 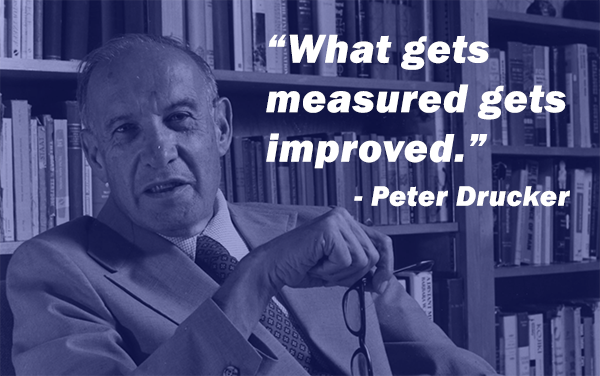 And if it can be measured, it can be improved! Perhaps most importantly, by introducing time tracking you are also demanding a higher level of discipline around your marketing activities. Time is money, and now the clock is ticking literally. With the clock staring you in the face, you’ll be forced to be more thoughtful about your green light decisions. Another great outcome from time tracking is that it will immediately give you some additional digital confidence as you’ll be more focused on how your actions deliver outcomes! Time is finite and smart marketers know that they need to use their time as effectively as possible. Of course, time tracking alone will only get you part of the way there. What I would strongly push as a key layer on top of time tracking is to have a project building system of some kind that you can come back to. Specifically, I’m talking about a project management tool. It is important that you standardize on this aspect as picking a project management tool is a really big decision that can have all kinds of impacts on you and your team. So do all your homework upfront, make a decision and then implement that decision across your marketing organization. I’ve tried a few different tools, and I’ve found that Asana is what I like most – frankly, this tool will change your life! Again, you might decide a different project management tool is better for you, and that is okay. What is important is that you pick a tool that you like and then you standardize around that tool so you no longer need to be in tool selection mode. Just a quick note on your selection process… make sure your project management software has integrations that you are comfortable with – for example, you might want to make sure your project management tool has a good integration with your time management software. One obvious benefit of introducing some project management discipline is that your projects will become more efficient as will your team, allowing your to REDUCE you man-hours required to complete a project. If you’d like to go a bit deeper on the importance of project planning for marketing I might suggest reading this recent article from CIO.com: 5 project management mistakes your marketing team is probably making. So far we’ve covered 2 key components: time tracking and project management, and before we explore the benefits of deploying a man-hour marketing math approach I’d like to go a bit deeper on the mechanics as having discipline in critical. Your goal at this point is to put together a project management process, broken down to the man-hour level so that you have a good grip on the full costs associated with your upcoming digital marketing build. To be clear without this you are running a big risk as if the business is yours you are going to be upside down essentially spending more time than you anticipated (meaning you get to spend less time on other activities), or if you are working in an organization you still have the time issue of a business owner but that is compounded by the reality that you are expected to have a certain level of productivity. Psychology is another factor here – you are literally starting to build a process that will put your (and your team’s) ability to deliver in very quantifiable ways so get ready for some surprises and make sure you are ready to defend the decisions that you make as man-hour math will invariably move towards an ROI conversation, not that there is anything wrong with that but you should be prepared. Smart marketers are not just showing up. They arrive every day with a focus on winning! When embraced, a man-hour marketing math mentality, layered on top of other best in class approaches will get you that much closer to your nirvana. Lots of hard work goes into marketing, and in particular digital marketing… we are considered the experts, living on the bleeding edge of marketing, and to be clear the opportunities to misstep are high – give yourself a fighting chance and ensure you have enough runway to deliver great outcomes.